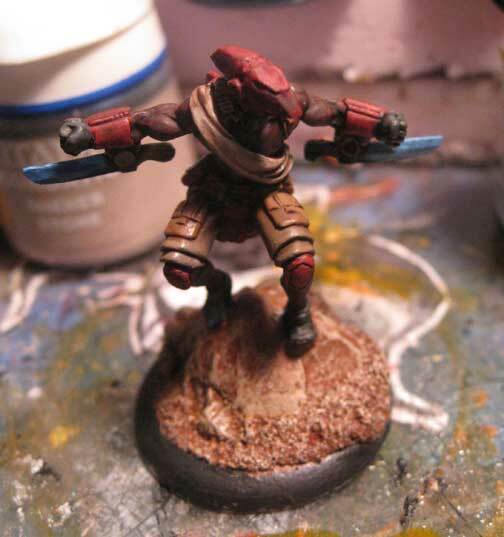 MERCS – Having found a great deal on the Sefadu starter box, I've added another faction to my MERCS collection. 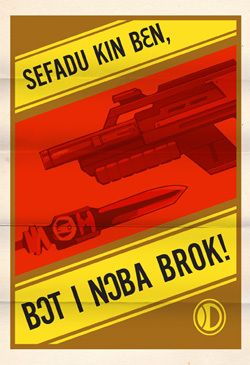 Sefadu are the African faction that specialize in diamonds and have ties to the CCC. I haven't got them on the table yet but from the cards and what I've seen online they specialize in moving fast and getting into melee combat. After washing the parts I cleaned the mold lines and flash. I was a little disappointed to find that my set had some flaws in the sculpts. This was noticeable on the loin cloths for two of the models. It was easy enough to scrape off the "fuzzy metal" and smooth out the cloth. Assembly wasn't to difficult although the heads have a fairly small attachment point so getting them to stay in position was a little tricky. (I'm not sure if my trick of holding the model close to a 100 watt light bulb actually does anything, but it seems to help when I have issues with glue setting ... or at least my brain tells me it does). I used my rock bases to mount the models to. I'm finding this design works for lots of different terrain depending on how you paint it. (the clear version is awesome for ice bases, email me for more info). I did need to put a few extra notches to accommodate the sculpts. I decided to follow the basic "official" color scheme rather that go with my gut and paint them like the MAXX, as I have several "purple" armies I didn't want to add another. I painted the cloth of their shorts with a Khaki color from the GW foundation range, their new color range doesn't match up exactly so I'm glad I have several pots of this lying around. 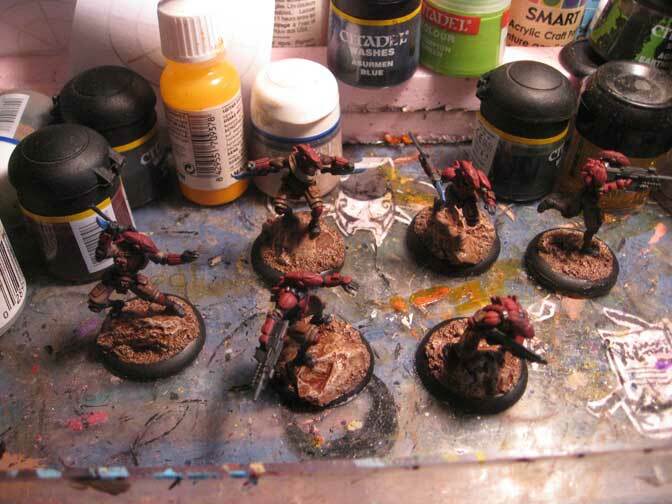 Next I went in and painted the armour plates with a crimson color. I'm not sure exactly if their skin is meant to be showing or if they are wearing a body-stocking, so I went with painting them in a dark flesh tone. The remainder of the models were painted a dark grey with some metallic highlights. At this point the base colors are done. A few quick washes will add enough shading to have them ready for the tabletop. Since I'm not in a rush to play MERCS at the moment I'll take the time to go in a detail these minis out to completion. This will include adding the yellow "tribal" markings to each model in a bright yellow color.